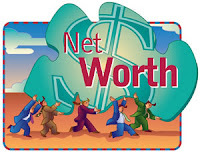 June Net Worth took a nosedive due to the drop in the stock market at the end of the month. Major Expenses: My Umbrella Policy and my Auto Insurance policies both renew this month. I've already saved for these expenses in my Flexible Savings Account. July should be a great month for my cash position. I should be receiving my stimulus check and an extra paycheck. this is first time i am reading your blog...... it looks good. Things are not as bad as they seem, once the stock market picks up you will be back on track. Keep positive! Just curious about your home equity value. Do you utilize zillow or another service to calculate monthly changes? I live in California and hate looking at zillow. It has taken a huge nosedive over the last year and a half. @scott: I use a combination of Zillow, Eppraisal.com and the tax assessed value to determine the value of my home.